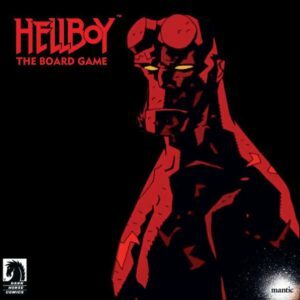 Hellboy: The Board Game was one of the most successful Kickstarter projects in 2018 after it was backed by nearly 13,000 people and raised about $1.9 million. That’s not too surprising considering the IP and the fact that just about every game that Mantic Games has put out has ended up with high ratings. If you’re a fan of Mike Mignola’s art in the Hellboy comics, chances are you’re going to really like the look of this game. To learn more about Hellboy: The Board Game, check out its Kickstarter page or its BGG page. Hellboy is also available for pre-order at Amazon, Miniature Market, and CSI. Remember to check back here soon to see our Hellboy: The Board Game review!